I know next to nothing about astrology, but I'm pretty sure that's not what a Capricorn is. But I like it - a nifty way for a horse to be more than a horse while not quite attaining the level of unicorn. U: Are you a unicorn like me? 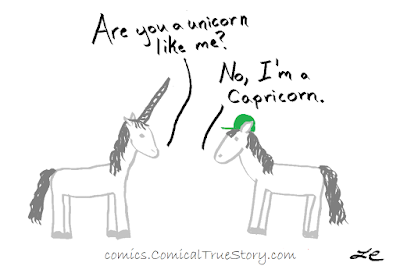 H: No, I'm a Capricorn.